RSVP kickstarts 2019 with a big hit Uri: The Surgical Strike having budget of 28 crore will surely recover with the overall weekend collection. The military drama which has the toughest action scenes made with the low budget will definitely recover the film’s overall budget in its release week itself. After witnessing the great opening weekend Uri: The Surgical Strike seems rock-solid on box office. After a blockbuster opening of 8.25 crore on its first day. Uri: The Surgical Strike is heading towards a blockbuster weekend as well. With the great opening weekend on box office Uri: The Surgical strike becomes the first hit of the year 2019. 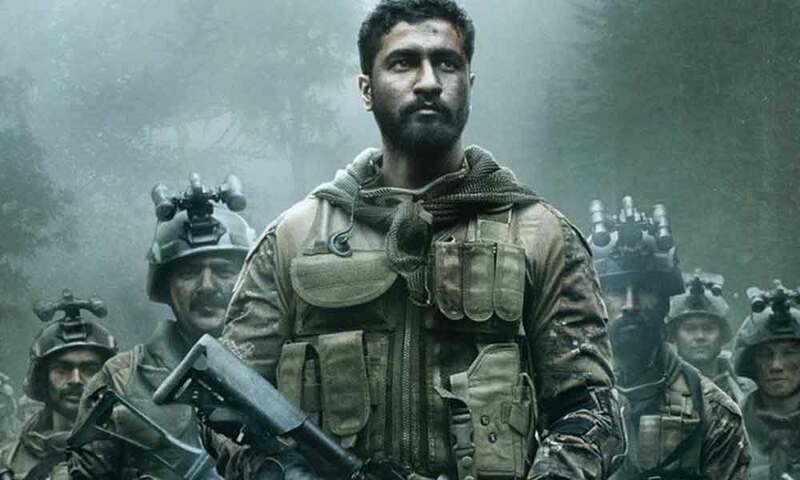 The year 2019 begins with a bang as RSVP’s Uri: The Surgical Strike embarks on a flying start and has witnessed 12.43 crores on its second day which becomes Vicky Kaushal’s biggest hit given by RSVP. RSVP has given back to back hits at the box office with ‘Kedarnath’ and now ‘Uri: The Surgical Strike’. While Kedarnath marked actor Sushant Singh Rajput’s biggest hit of his career, Uri is all set to record Vicky’s biggest hit. With back to back hits, RSVP has given Vicky Kaushal the biggest solo hit of his career. Uri: The Surgical Strike has received tremendous response from critics as well as the audience on the very first day, Uri has seen the massive opening at the box office and will see an upward bar towards the weekend.